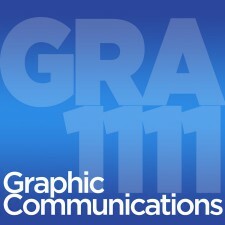 This course introduces students to core concepts in the graphic communications field. Lectures will provide historical perspective as well as examining current practice and future media trends. Students will examine and work with digital technologies for print and the web such as Portable Document Formats (PDF) and Extensible Hypertext Markup Language (XHTML). Examination of the role of typography, paper, color theory and image capture in the design and production process. Students will also use the OpenLab website (https://openlab.citytech.cuny.edu/) during the course. There will be at least one field trip, which will be an integral part of the course.